Physicians have an ethical obligation to become knowledgeable about concussion. On June 9, 2014 the American Academy of Neurology, the largest professional association of neurologists, released a position paper stating that doctors have an ethical obligation to educate and protect athletes from sports concussion and clear them to play only when the athlete is medically ready, standing firm against objections from players, athletes and coaches. The statement declares that sports concussion “is a major issue in the world of health care” and requires more attention from physicians. The Veterans Administration announced on July 6, 2014 that a team from the Veterans Affairs Medical Center has developed a “Concussion Coach” application, which is currently available for IPads and IPods and will be available later this year for Android platforms. The application provides education about concussion, includes an assessment tool, provides tools to manage problems that commonly arise following concussion such as sleep problems, provides advice on how to create an environment that builds resilience, and provides links to resources. The application is available for both veterans and the general public. The Defense Brain Injury Center recognizes the importance of identifying and treating sleep problems following concussion. 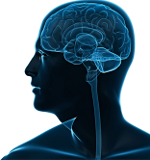 On July 1, 2014 the Defense and Veterans Brain Injury Center released a new set of clinical recommendations and support tools to assist in the identification and treatment of sleep disturbance, commonly occurring in patients after a concussion. Drawn from current research, these tools are designed to help health care providers identify and treat sleep problems and to provide strategies for brain injury victims. Taken together, these developments demonstrate an increasing recognition in the medical community that concussion and mild traumatic brain injury can be a serious health problem and require attention and resources.